In our practice at Superstition Springs Endodontics, we have found that patients of all ages are using online reviews in their selection of dental care providers. Even many of our patients, referred by their general dentist, will go online, using our website or reading reviews to learn about us before coming to our practice. We also find patients who self-refer to our practice after reading online reviews. Patients routinely describe how they use online reviews in selecting their general dentist. This should come as no surprise. A recent survey indicates that 88% of people trust online reviews as much as a personal recommendation. The most effective and reliable online reviews are those left on 3rd party websites like Google, Yelp, Facebook, Healthgrades, RateMDs, etc. etc. These websites are more visible to search engines than your individual practice website. The key to a successful online review strategy is to get patients talking about your practice online through social media and review websites. An effective online review strategy can be the least expensive and most effective SEO (search engine optimization) strategy you can find. Invite: Without an a strategy for inviting patients to leave a review, you can expect to get the same amount of reviews that you are currently getting. Success with online reviews requires leadership and accountability. If you are not comfortable inviting patients to leave a review, assign someone in your office to make the invitation. At SSE, we typically invite patients to leave a review as part of our post-operative instructions. Simplify: Leaving a review takes time and people are busy. The easier you can make the process for a patient, the more reviews you will get. Let them choose a review site with which they are familiar with or already use, such as Google, Yelp, or Facebook. Some of these sites require an account to leave a review. Patients are not going to sign up for an account to leave you a review, but if you give them a choice of a place they already use, you have a much better chance of getting that review. If you can direct them exactly to your profile on the third party review site to leave the review, you reduce the steps/clicks it takes your patient to leave a review. The reality is that no one cares more about your online reputation than you do. If you want to improve online reviews, it will require YOUR leadership. It's a numbers game. You have to make enough invitations and understand that a fraction of them will leave a review. In our practice, we take great pride in our service and clinical care. We try to create an experience for every patient that exceeds their expectation making them want to share their experience with others. In the calendar year of 2016, Superstition Springs Endodontics garnered 123 new online reviews. To see a full report of our 2016 results, click here. Review Wizards is a product to help professionals build their online reputations. 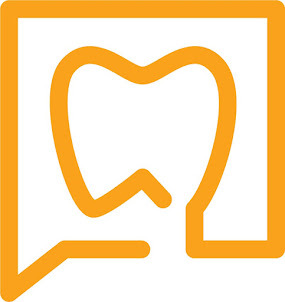 With a platform specifically for dentists, called GradeYourDentist.com, it is a low cost, highly effective solution to help your practice build its online reputation by inviting patients to leave reviews on the websites that they like to use and that are most important to you. With a over a year of successful testing in multiple practices, we are now prepared to share this solution with all of you! Allowing you or your staff to send your happy patients a review invitation via text or email on their favorite device using the LinkWizard. Creating a customized and branded webpage for your practice. Filters unhappy patients and lets them provide direct feedback to your practice. Gives your patients choices of where they might leave an online review. Delivers them to the review site with instructions on how to leave a review. Notifies you of new reviews that have been published online. Online patient reviews may be the least expensive, most effective marketing tool that you can use to build your online reputation and grow your practice. We've had great results with this new product/system and invite you to check it out. Click here.